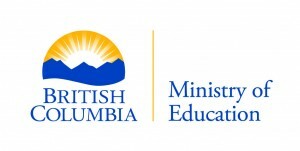 Make a Future – Careers in BC Education created by BCPSEA, is operated as a joint venture between British Columbia’s 60 public boards of education, the BC Ministry of Education and the BC Public School Employers’ Association. The goal of Make a Future – Careers in BC Education is to innovate and advance K-12 public education employee recruitment and retention to ensure the right people in the right places at the right time. Makeafuture.ca is the official job board of BC’s public school districts, FISA BC’s independent schools, First Nations schools, and BC-certified offshore schools. Public education is the second largest part of the public sector in B.C. The Ministry of Education provides leadership to the K-12 sector through policy development and legislation, system governance and the establishment of standards. The Government of British Columbia has set a goal to make B.C. the best-educated, most literate jurisdiction on the continent, and the Ministry leads this initiative. The Ministry achieves its goals through collaborative relationships with its partners. These partners include boards of education and independent school authorities, public libraries, community literacy organizations, First Nations representatives, and provincial ministries and agencies. BCPSEA is a human resource service agency that supports public education through innovative human resource practices, partnerships, and services. Established by the Public Sector Employers Act, BCPSEA is a multi-employer association and the accredited bargaining agent for all 60 public school boards, including the Conseil scolaire francophone de la Colombie-Britannique (CSF). In addition to its core mandate, a major area of focus for BCPSEA is the development, coordination and facilitation of human resource best practices in the public education sector. Make a Future – Careers in BC Education is one of those best practice initiatives. For more information please visit:www.bcpsea.bc.ca. The First Nations Education Steering Committee (FNESC) is an independent society led by a strong and diverse board of about 100 First Nations community representatives. FNESC is committed to improving education for all First Nations students in BC. FNESC works in partnership with the First Nations School Association (FNSA), and the Indigenous Adult Higher Learning Association (IAHLA), as well as other partner organizations. The FNSA represents and works on behalf of First Nations controlled schools in BC, and almost all of the 131 First Nations schools in BC are members of the Association. The FNSA has a mandate to support those schools in creating effective, nurturing, and linguistically and culturally appropriate education environments that provide students with a positive foundation in all academic areas. While FNESC and FNSA advocate on behalf of First Nation Schools, and provide support, resources and networking opportunities to First Nation Schools; First Nations have the independent control and authority for recruiting teachers, so each independent First Nation is also a partner of Make A Future.